Which Smartphone is the Best for You? Let's Compare New Smartphones. Which Smartphone is the Best for You? Let’s Compare New Smartphones. Good Morning Green Panda Friends. Today we are continuing along with another post our “How Smart is Your Smartphone” series. Today Green Panda decided to do some investigating work and compare new 2011 Smartphones. We will review all the features of a few selected Smartphones to help you choose which Smartphone is best for you. When you are shopping for a new Smartphone you must find a Smartphone that fits into your budget. I know that sometimes the purchase of a new Smartphone can be a big expense and the monthly bill can be a big reoccurring expense. This is why it is best to shop around, compare prices, and read reviews about a few different Smartphones before you decide to purchase your own Smartphone. Before buying my LG Shine Plus with Google I researched different Smartphones on my Cell Phone Carriers website. Once I made the decision to buy the BlackBerry Curve (in pink) I walked over to my local Cell Phone store. After some assistance from the Store Manager I discovered that the BlackBerry Curve didn’t have a very good camera. The LG Shine Plus with Google had the best camera with 5.0 Megapixels. I signed a new contract and I was on my way. I chose to keep my existing monthly service plan because the data plan was way too expensive; it would have added another $50 per month onto my existing $25 per month plan. In an effort to save money check with your Smartphone provider if you can bundle your services. If we can get our telephone, internet, television, and cell phone services all with the same provider we could save a bundle of money by bundling all of our monthly services together. Apple iPhone 4s – This was an obvious first choice for me to review since it is brand new and just recently released onto the market. People buy Apple for the name brand, but also because of the convenience and user friendly systems. The new Apple iPhone is available in 64 GB, 32 GB, and 16 GB. The new iPhone 4s has an 8 megapixel camera and it can record, edit and share 1080p HD video. There are currently over 500,000 Applications available in the Apple App Store. BlackBerry Curve 9360 – This is an upgrade from the original BlackBerry model. If we compare it with the BlackBerry Torch the screen is smaller but the keys are readily available for texting. BlackBerry offers a Protection plan that offers security in case our BlackBerry is ever lost. We also have access to BlackBerry App World which allows us to download thousands of Applications directly to our BlackBerry device. HTC Amaze 4G – This is an Android phone and it is compatible with Skype. This phone offers email, web browsing, and picture messaging. It has a full 4.3” display screen with HD quality. This HTC phone also offers a powerful dual core processor with speeds of up to 42 Mbps. It allows us to create and share HD movies and photos. We can also download music and over 250,000 Apps from the Android Market with access directly from our phone. The I phone may have the most of the application but apple is too picky with their product, blackberry am not to much into but i think as far of android i think i would considered because you can do anything with and is very satisfying for a lot of customers that i heard so far from the opinions. thank you for the info, nice work. 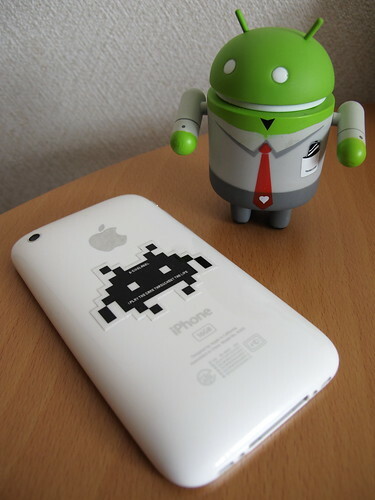 I agree with you that Android phones are just as great as an iPhone or a BlackBerry. I personally love my Android phone but my boyfriend loves his iPhone, so I guess it’s just a matter of name brand and personal opinion.